Spirited yet even tempered, a Boxer makes a wonderful pet. Boxer puppies are darling, intelligent, athletic, and social—all the admirable qualities of an adult Boxer dog in miniature. The bouncy Boxer puppies in this square wall calendar will grow up to be courageous and intelligent dogs. 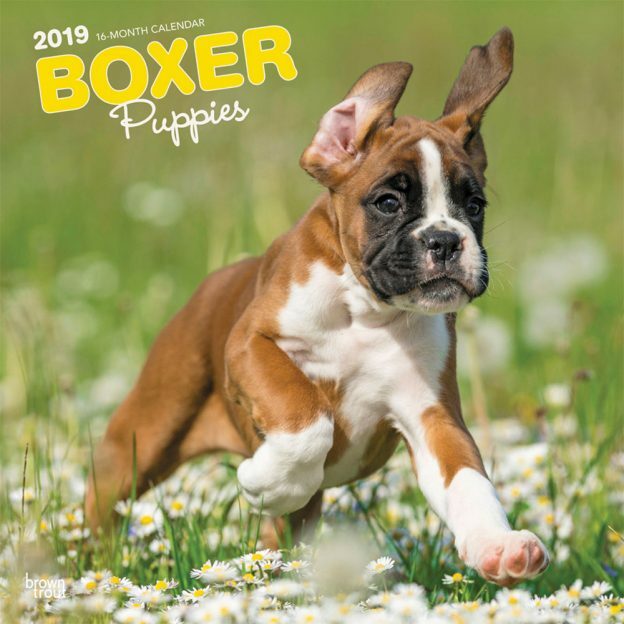 This calendar includes a free download of the DogDays™ app for the smartphone and tablet, which grants access to the world’s most captivating dog photos and backgrounds, fun puzzles, and a calendar featuring your favorite furry friends. This entry was posted in Calendar Showcase, Dog Breed on February 13, 2019 by dogdaysapp.